Pattern making softwares, go ... take a break! Try the above draft with cheap cloth or muslin, check fit, make necessary alterations and try it with fashion fabric. Note First line is a typo error, it should be 15 instead of 14! Thanks Betsy for pointing it out! I apperciate the hard work you have given here. I have two things to be cleared. one thing is the formula... 1/2 bust + 1 and the example it is 1/3 bust+1.I want to know the correct one. Is s-s is the shoulder measurement? I'm so sorry but I had to remove your link from Brag Monday. 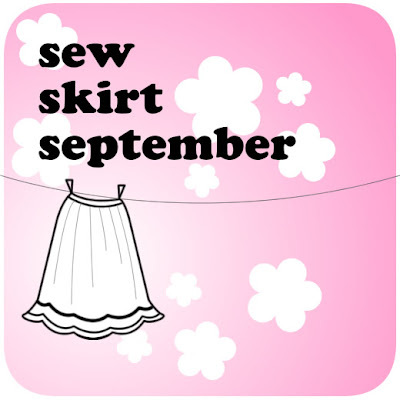 My linky party is just for projects made using images from my site. 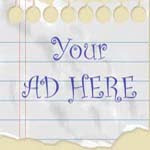 If you make something in the future, using one of my images, we would love to have you join us then! It is a typo error; it should be 1/3 bust and not 1/2 bust. In the example explained immediately after that it states 1/3 which is correct. Will try to rescan after correcting it..thanks for pointing it out. Thanks for pointing out the flaws. Will try to correct the page and upload it again. Hi is seam allowance already included in the pattern? Seam allowance needs to be added. Please see the last line on the sleeve page. If i am not using shoulder slope of 3/4th inch i should decrease my arm hole depth by 3/4th inch. thanks .it has come out very nice. with practise will improve. 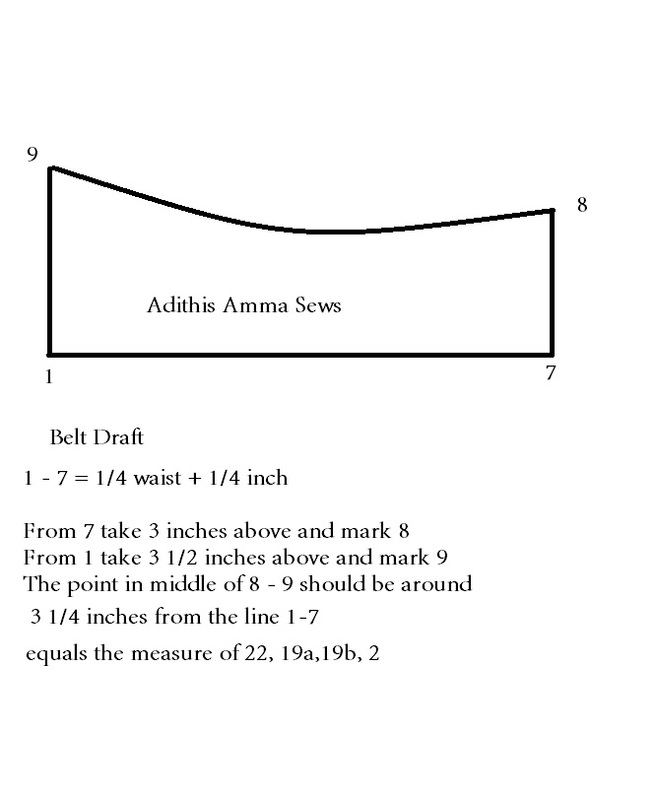 Can you give us choli cut( katori )blouse drafting , as well as how to stitch readymade dhoti .thanks inadvance. 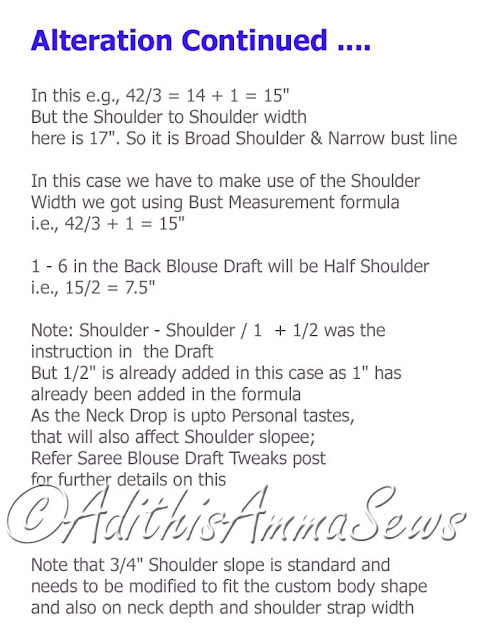 Yes Rajani, you would need to adjust armhole depth based on how much to reduce or increase the Shoulder Slope. Hi, can you please post the pattern block for these saree blouses? HI..Thanks for putting this up..I have a question..How do you make the tie at the back (the string) which is made up from the fabric of the same sari? I need to make my own and am not that great at sewing but if I know how much material to make and what to do..I will try and do it myself. I would really appreciate a response soon as I have to wear this sari..thank you!!! Hi... I check your blog daily for new posts. 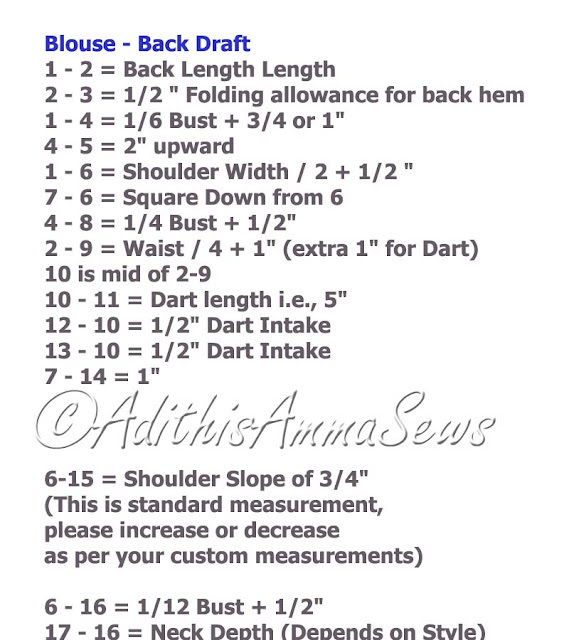 I searched all over the internet for a saree blouse tutorial a couple of years back. Gr8 to finally see one. Thanks a lot. But I seem to be missing a few pieces. 1. I don't see any mention of the belt part in the pattern. 2. Is the point 15 in the front draft measured the same as 14 in back draft? 3. No mention of points 23 and 24. Is this included in the measurement of 5-2 and 4-3? or is it extra 1/2"? 4. How do you get points 3a and 3b from the point 4 for the sleeve? Sorry for all the issues, but I would love to sew my own blouse and cannot seem to figure this out. Redrafting the sleeve draft, hope it is more clear now. 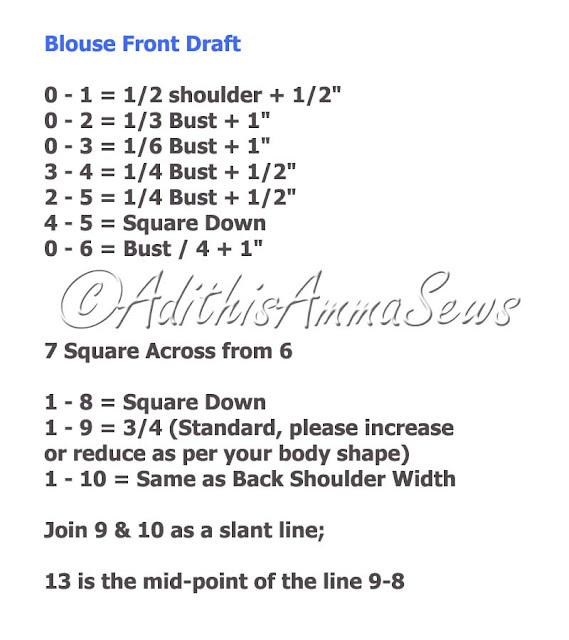 The front blouse draft instruction continuation was mistyped as back draft continuations, and hence the confusion, i have rectified the same. Please do check the draft from the start once again and revert back to me in case you have any further doubts / queries. Hope i was able to clear your doubts. Feel free to ping me again. Thanks for the prompt reply, and the belt and sleeve draft. Will try to stitch a blouse today and see how it turns out. Just one more typo that I found. 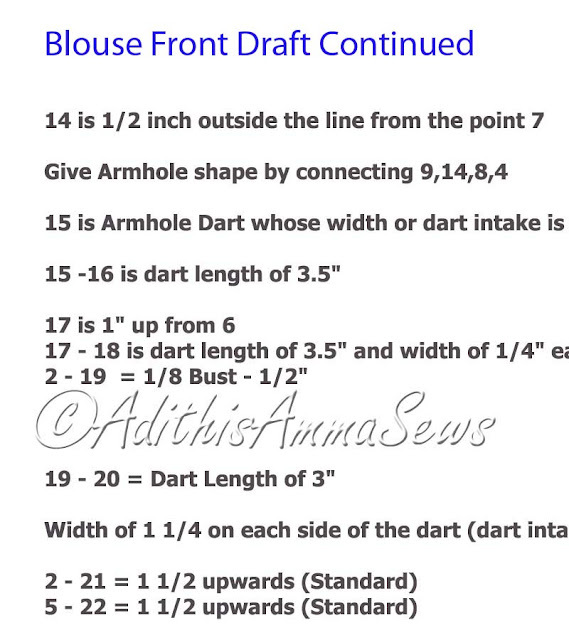 In the front blouse draft, it is point 15 and not 14 for the armhole. 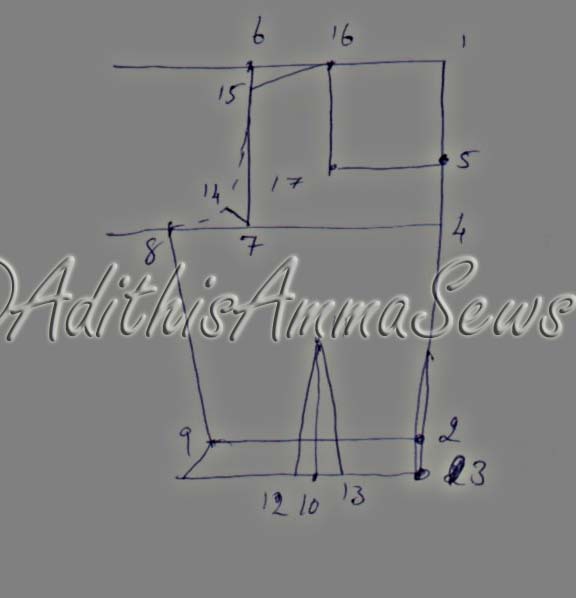 So point 15 would be 1/2" outside point 7 and the front armhole would be shaped around 4,15,13(not marked),9. Is that right? Also, shouldn't the points 23 and 24 be on the neck side of the front draft for the hook extension? Just a suggestion.... if you typed out the instructions as part of your blog post rather than scan them as images, then it would be easier to correct any mistakes or typos. Keep up the gr8 work. God bless! You are welcome betty and thanks for pointing out yet another silly mistake in the draft! 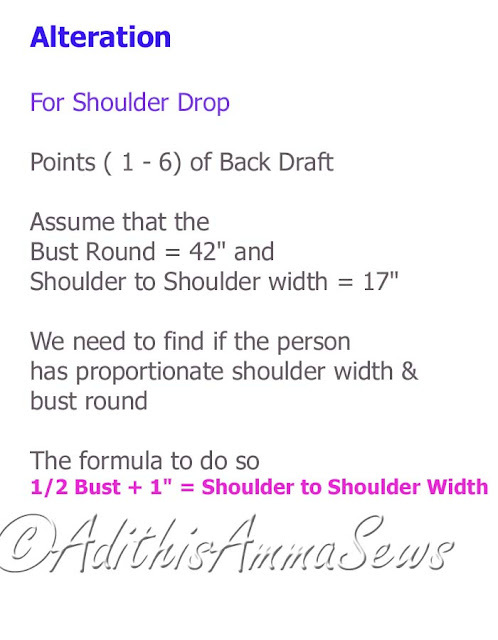 Yup the points 23 and 24 should actually be on the neck side of the front draft for hook extension on 1 piece if desired, or else can be left out and separate piece can be added as explained in the Saree Blouse Sewing Tutorial! Yup 14 n place of 15 was a typo! Hi mam, thanks for a wonderful tutorial... its great! 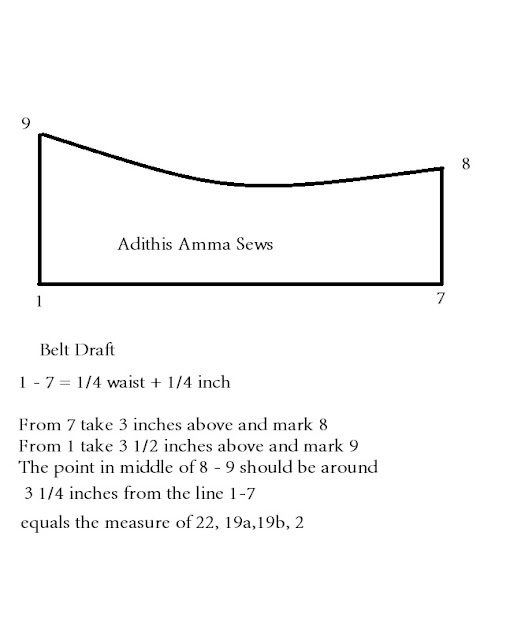 just one doubt.. U have said the seam allowance has to be added.so what does the +1/2" and +1" in the draft represent? are they not the seam allowances? I was wondering how you could take measurements from an already existing blouse instead of the person. Can you advice please? 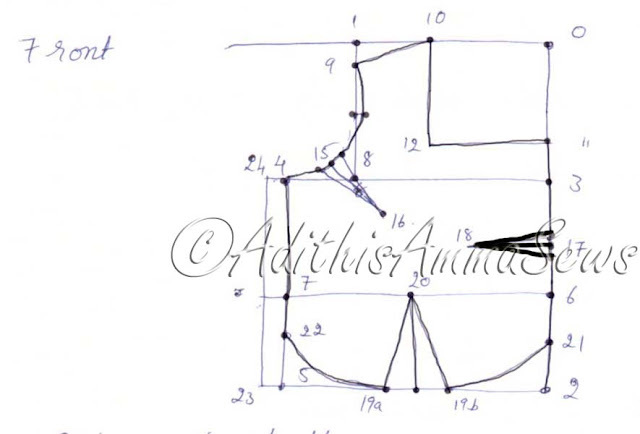 Can I have the diagrams and the method of cut choli blouse with three darts tutorials. One small doubt in the front pattern. 13 and 14 are not marked, but from the description can understand 13 is the midpoint of 9 and 8, but what is the measurement between 13 and 14? Thanks and looking forward for ur reply. that's something great, i am in a town, where nothing works for my wife. I thought of doing it myself for her. And I must thank you for having in simple ways to go ahead. Ofcourse, i will comeout with my experiences later. I came accross your blog and as i was reading I also read about your sister. I would like to suggest her to have a cup of boiled sweet corn when symptoms show up. Also taking water not immediately after food but after an hour of having food also helps. This worked for my husband and is fine from the last few years(4-5). Coming to the blog you are wonderful. I've been to your blog long ago before this. Whenever I tried to search anything Your blog always show up(very helpful). I'm a newbie or i can say just still investigating on patterns but I still do not have any hands on experience. I could not gather courage yet to run my scissors through the cloth. Your patterns are really helpful even for beginners. They woo me to get started. Thank you. For acid reflux ask her to avoid All varieties of chilli including powdered chilli and capsicum or jalapenos,Methi/fenugreek, Dals of all sorts including peas and chana or at least limit her intake of these. Hussain has rightly mentioned about the "drink water 1 hour later" suggestion. Its not a rule but it really does help. Tell her to start her day with weak ginger tea and if she is of normal weight she can take 2-4 Marie Biscuits, Underweight- 2-4 Goodday Biscuits or Overweight- 2-4 Cream Crackers. She should ideally take her food warm/cool and not hot. The same applies to tea and any beverages she takes. She should do this for a week and in all probability she will notice her acid reflux. PS: I am not a doctor/nutritionist but I have studied Applied nutrition and have a keen interest in the subject. hi rajani good work. i'm happy learning to sew saree blouse. please let me know why u have ommitted the dart on dides which is there on blouse. Thanx. I have stitched blouse earlier using paper cutting made by my mother. I altered it after I became a bit fat and also wanted slightly low back. But my attempt resulted in bad blouses. Now I followed ur instructions and stitched a blouse which is almost perfect. Specifically armhole to sleeve joined part is wrinkle free. My own draft always caused wrinkles there (both in front and back). But in ur draft, the sleeve cuttings did not work for me. I used my draft for sleeve. From 1-2 : 1/8 of bust : this would be 4.25 for 34". (34/8=4.25). This seems to be more. Well I am not an expert. 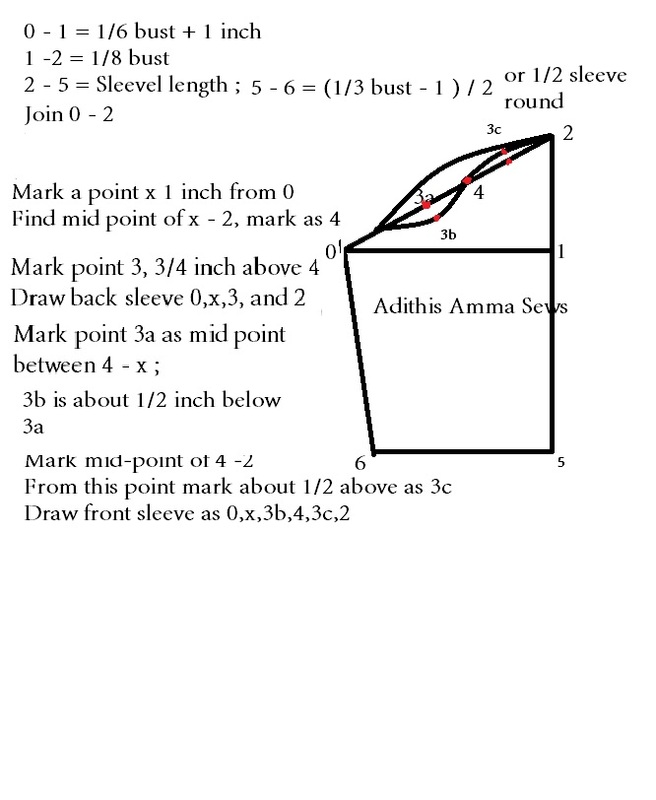 Another problem is the points x, 3 are not shown in the figure. So could not follow. Even then with this draft I made a paper cutting but it could not fit my arm. Size was less. Another 1.5" was required to fit me. Please suggest for this. Overall blouse fits comfortably. Thanx for this draft. I have added 1" extra as additional allowance to accomadate stitching and gain in weight. first is for the front draft , is it 15is 1/2" outside 7 or is it 8 and where is no.14? 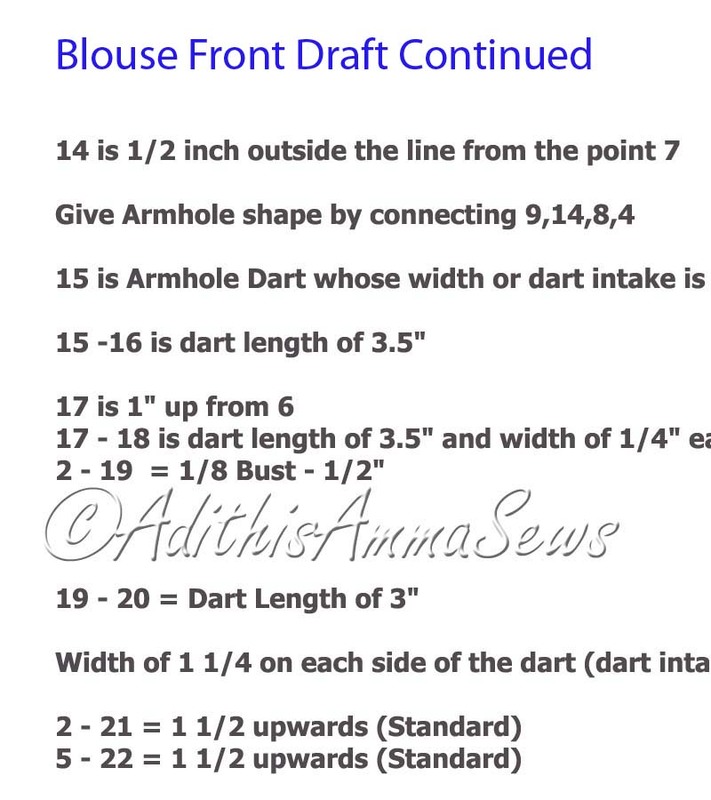 secondly what is the armhole dart width. its not visible there. Thank you for this wonderful pattern. This was my first real garment that I've made, and drafting the pattern was also new for me. Like Roshni Jee, I could not see the darts in the "Blouse Front Draft Continued" picture. I made the darts 1/2" each total, which seemed to work. I was able to devise the front hook & eye panels from the stitching up tutorial. Mine needed to be a little wider than what I think would be normally called for. Also, in addition to the hook and eye panels missing from this tutorial, also missing is the neckline interfacing pattern - It would be nice to have that here in the instructions, because it really finishes the garment nicely. I think I made a mistake in adding seam allowances when drawing the pattern - it would have been less confusing overall to follow your instructions and do the seam allowances as the last step. I thought that this pattern would be really big on me, but actually it is pretty tight, which is the fit I wanted. It still allows free range of movement, and is comfortable to wear. Thank you again for sharing this wonderful pattern. Good to know that the draft was useful to you. So glad you shared the finished pics. Armhole dart is 1/2 only with 1/4 inch on each dart leg.